There were two important reports on the U.S. economy released this morning. 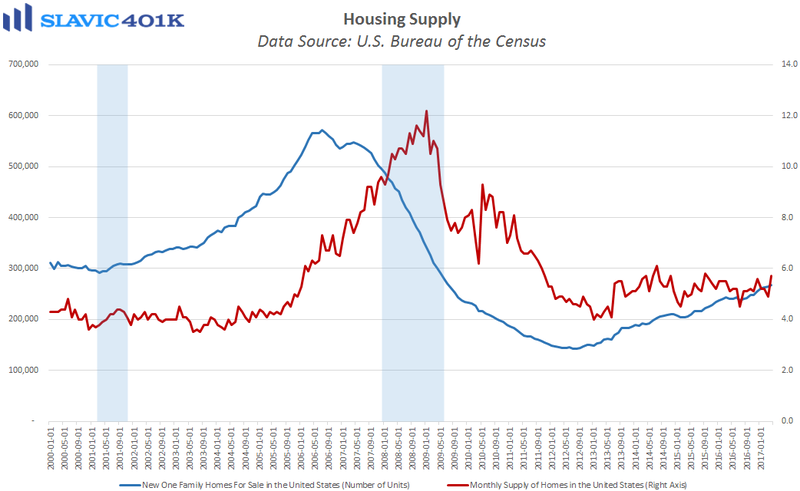 First, data from the Census Bureau showed that sales of new single-family homes in America fell by 11.4 percent in April to a seasonally adjusted annual rate of 569K units. That was significantly worse than economists had expected and the largest monthly decline in roughly two years. Regionally, home sales in April fell across the country but most of the weakness occurred in the West, where new home sales plunged by 26.3 percent. 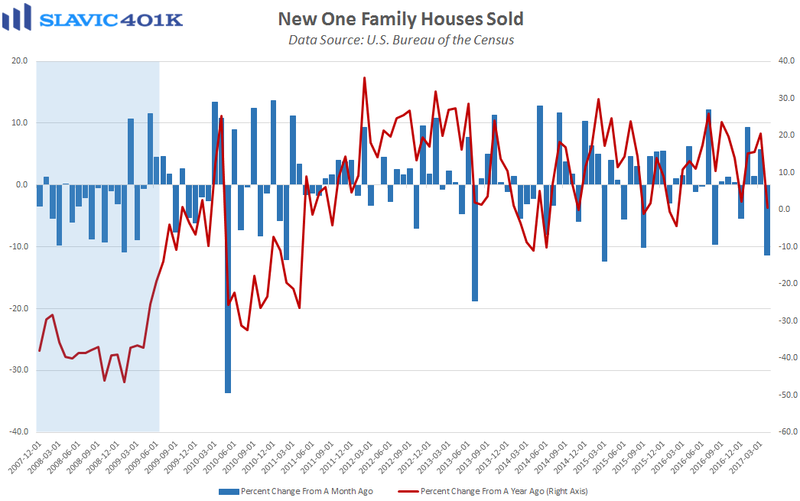 The inventory of new single-family homes in April lifted for the 5th month in a row to 268,000, and months’ supply rose to 5.7 based on the current sales pace. 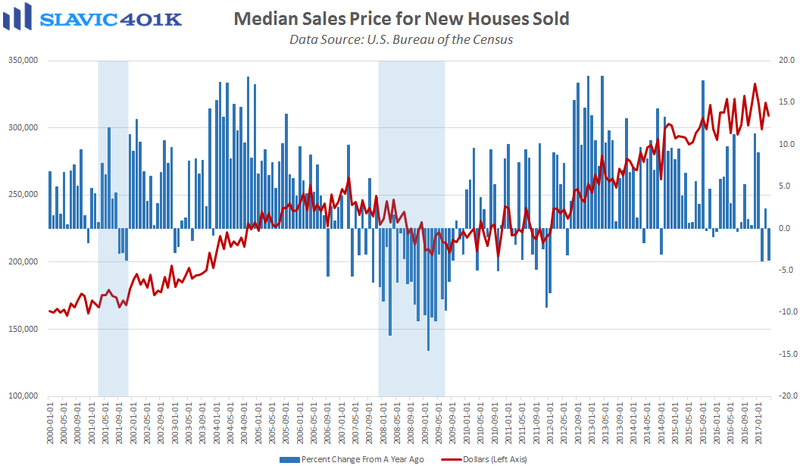 The median selling price of new houses sold slid to $309,200 in April. 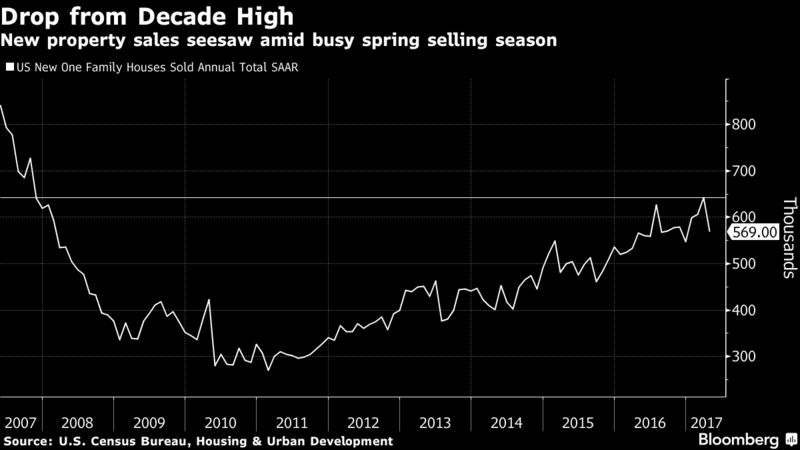 Overall, the headline decline in new home sales at first glance may seem disappointing but it followed an upward-revised March figure, which was also the strongest sales pace recorded in almost a decade. 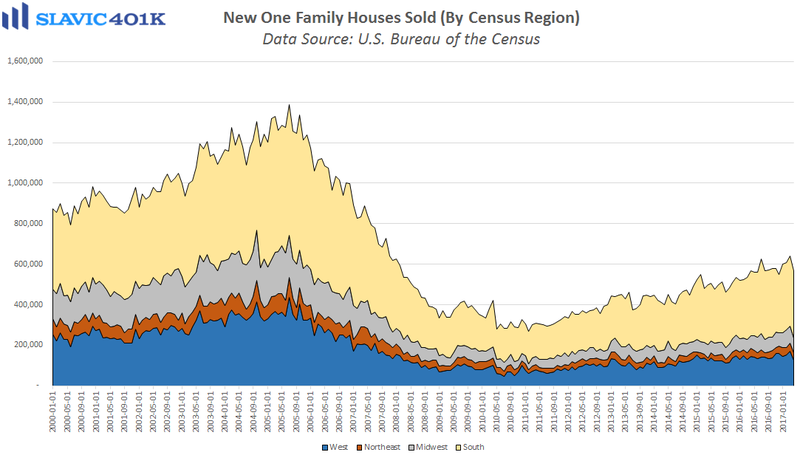 Further, new home sales tend to head sharply lower ahead of a recession but annual growth for now remains positive. 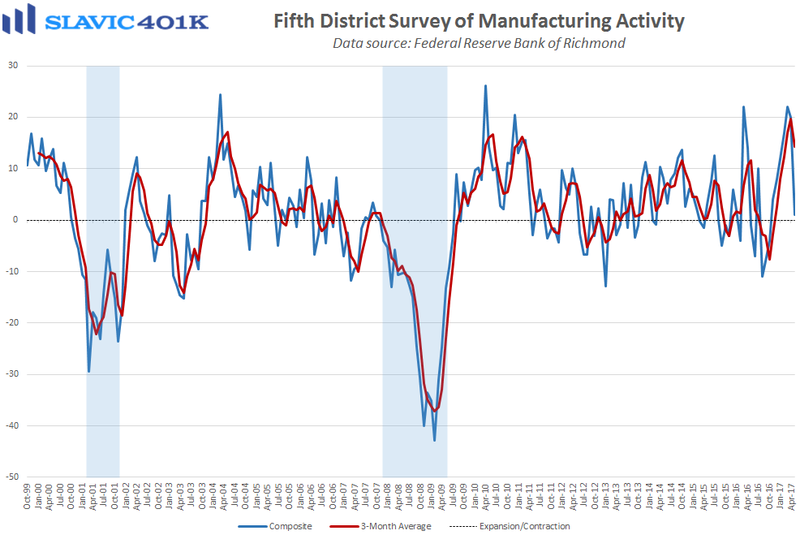 Elsewhere, a report from the Federal Reserve Bank of Richmond showed that manufacturing activity in the Mid-Atlantic region of the country slowed considerably this month. Specifically, the composite index plunged from +20.0 to +1.0 in May, much worse than expected, the 2nd-largest monthly decline on record, and the weakest headline reading since October of last year. 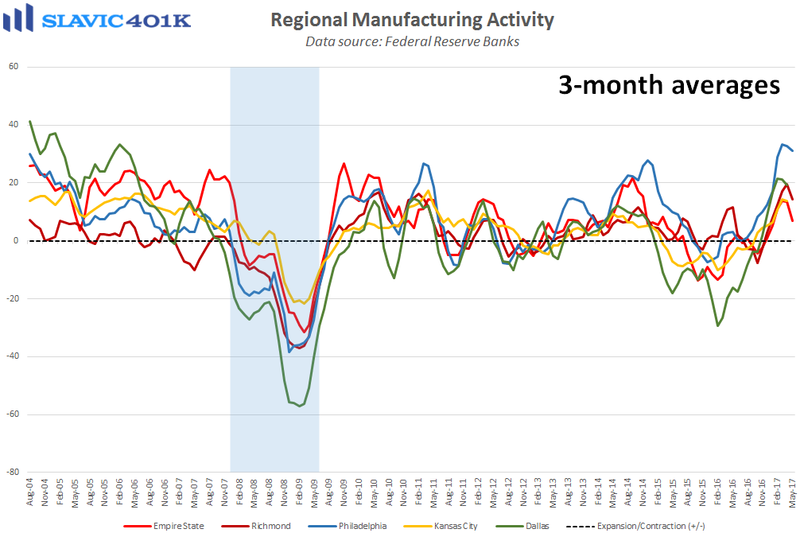 However, it is worth remembering than any print above zero implies overall activity expansion in the region, and this was the 7th positive reading in a row for the headline index. 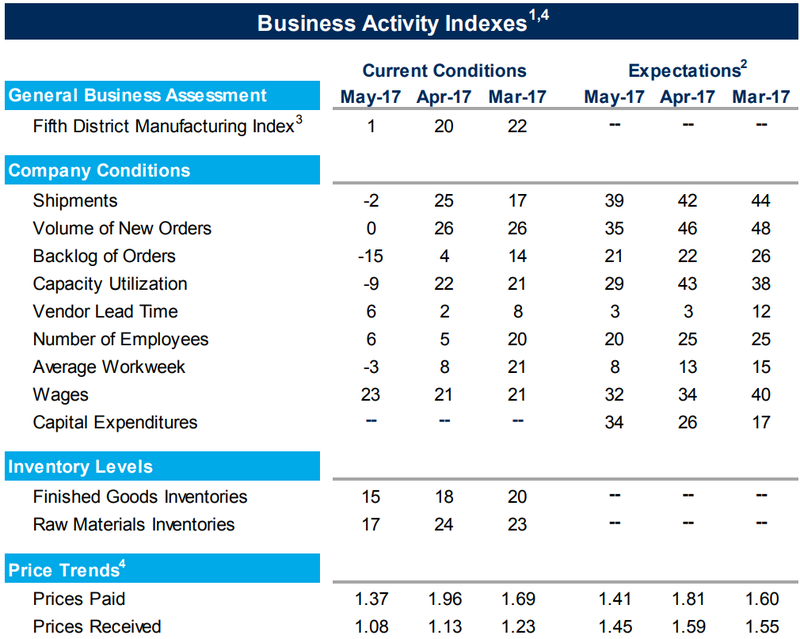 Further, current measures of total employment and wage growth improved this month, and reported plans to boost capital expenditures over the next six months increased. There were of course some clear negatives in the May report but for now the weakness could simply be a healthy pullback after the substantial post-election spike in manager exuberance. Subsequent reports will therefore be needed to know if this was just a temporary setback or the start of a new trend.